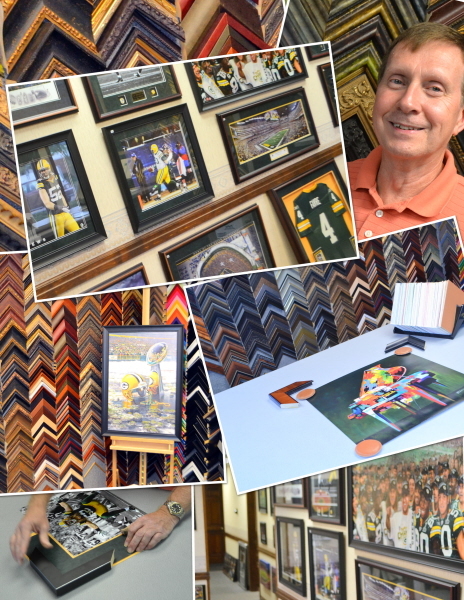 Frame of Mind has been in business creating customized framing for their customers for over thirty years. Bob began his framing at the Aim West store on Military Avenue. After the building owner sold the building, Bob opened Frame of Mind just a few blocks from the stadium. Bob has two talented design consultants/picture framers on staff along with him that have decades of experience as well. Rest assured, we are experts at what we do. It is our goal to make this a fun experience for the customer and provide 100% customer satisfaction. We promise to give you the care and consideration you deserve with no high-pressure sales techniques. We want you to feel like you are treated like family here. To provide each customer the absolute best service, to educate them about the different choices that will be a part of their project, to provide them with a price that is within their budget and help provide direction, suggestions and above all, listen to their ideas. Our goal is that every customer leave happy with their choices and experience.